It is this fourth area where the investment of Bright Hope World will help to expand the business so that they can commit to larger orders and thereby develop a more sustainable business that may ultimately also provide for the costs of the centre. 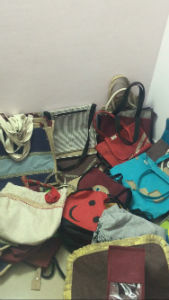 Currently they fulfil various sewing orders including jute bags, shopping bags, and various other sewing projects. There is one major purchaser that is a Christian NGO who have committed (verbally) to seek increased orders from DEAR but only if DEAR can expand their machine capacity with new machines, and secure the power supply through purchasing a generator. The business is housed in the centre that DEAR Trust already rent for the shelter. 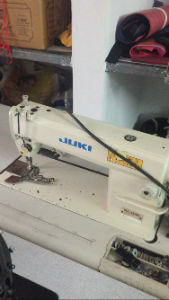 Six tailors will be employed along with two other workers (stitchers etc). The generator allows them to extend the hours they can operate. 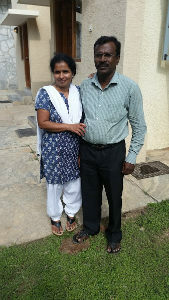 BHW's Field Director first met Jesudoss and Paulrani in November 2013 when he was introduced to them and their children while Jesudoss was studying at SAIACS Bible College in Bangalore. Regular email communication was maintained following that initial meeting and they subsequently met again in early 2015. In mid/late 2015 BHW commenced partnering with DEAR (IND16). 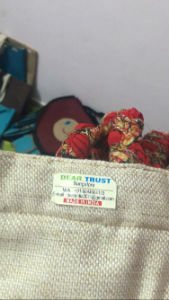 Following a visit by BHW's India Partnership Facilitator in mid-2016, DEAR presented us with this business opportunity. The beneficiaries will be the LGBT community in Bangalore. They are ostracised and if they make a commitment to Christ the church does not accept them, and they are unable to get jobs in other businesses. There are also a number of single women from broken families who will benefit from being employed as tailors. DEAR have really tried to take on our suggestions of finding a self-sustaining business. They have tried a number and this one seems to be the one that has the most success and they have links to a relatively consistent order stream. There is definitely a risk here that the orders dry up but if they do not do something like this they will not be able to continue to provide for the needs of this community without simply seeking donations. The vision is to provide income for members the LGBT community who wish to leave their current way of life and start afresh. The strategy is to expand the business and employ more workers as the revenue increases. However, this will also require an investment in marketing which they will need to consider. The plan is to deliver the initial orders and then continue to grow the requests from those companies. They also have the opportunity to sell at community events and at churches which they use as an opportunity to explain the issues for the community.